The former Public Relations Officer of the CDC National Youth League though did not point any excusing fingers but said some of the unknown guys may be pay agents that could be the master minder behind his threats. 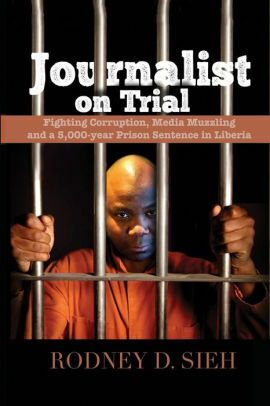 “It is a matter of emergency to inform the Liberian people and the International Community that my life, safety and security is no longer guarantee in my own country as it relates to continuous threats via phone calls, messages, physical assault, and Facebook publications sent to me by unknown men but appearing to be operatives of the CDC-led Government” Tipayson noted. According to the former Youthful Senatorial Candidate, senior officials of the CDC Government are on record for expressing frustration to him for partnering with those they claimed exerting efforts in seeking to bring the George Weah Led Government down. According to the Current United People’s Party (UPP) National Youth Chairman, it is an unfortunate action on the part of thoseunknown men;describing their action as a masked blooded thirsted and heartless figures to pursue him and destroy his life. He noted that he has been triggered because of his high ranking involvement in the organizing of the Concerned Citizens United to Bring Our Money Back (COCUBOMB) as the National vice Chair for Mobilization and Networking. (COCUBOMB) is aimed at mounting severe pressure on the Government of Liberia to show seriousness and going to the root causes in accounting for the alleged 16billions Liberian Dollars from the Freeport of Liberia with transparency. “I have been triggered because of my involvement in organizing the Concerned Citizens United to Bring Our Money Back COCUBOMB which is a nationalistic and conscious driven organization aimed at mounting serious pressure on government to show severitywith transparency and going to the root cause accounting for the alleged 16 billion Liberian dollars that disappeared from the Freeport of Liberia” he noted. Tipayson noted additionally that his active participation in the recent mass peaceful protest of Liberians on September 24, 2018,and his commitment to support series of peaceful assembly in calling on the International Community to withhold financial support to the CDC Led Government until the missing/stolen Sixteen billions issue is addressed,and his critical posture on the missteps of the Government are all causes for threats against his life. According to Tipayson,Journalist Philibert Brown, the publisher of the Hot Pepper Newspapers (the man who broke the news about the missing billions), Comrade Martin NKKollie, National Chairman of COCUBOMB and other key advocates have all complained about threats on their lives and the burning down of their homes as well. He said it is disheartened in the midst of the increasing rate of poverty and hardship in the country for few officials of Government to pocket such a money that could be used to change the lives of the already impoverished Liberian people. According to him Government Officials in theCDC-Led Government are acquiring mansions overnight just within eight months. He said the unexplained real estate’s are tangible evidences which justify the commission of a crime as far as the missing/stolen sixteen billions Liberian dollars (16bn) is concerned. Tipayson wants those acquiring mansions in the short period of time confiscated as fruit of the crime by the Committee investigating (FBI) the saga. According to the tough talking youth leader, they will continue to be vocal in their position and Networking with others, noting that they will not compromise their strong stance on the alleged missing/stolen16 billion Liberian dollars on the basis of fear for their lives.